By working in true partnership with parents we aim to provide a stimulating, challenging environment which is a warm, friendly extension of home. A place children and adults can explore, have fun, play, talk and learn together, developing as happy, confident and independent individuals within their community. believing that we have a significant role to play, along with parents, families, other professionals and the whole of the wider community, in raising the young citizens of the society. Home Visits: Nursery staff make a home visit to all new families. This an informal, friendly opportunity to say hello, introduce ourselves and get to know a little bit about the child and his/her family and for parents to get to know about us. Parents often talk about this visit in a positive way and seem really happy to meet staff on their own ‘home ground.’ This first meeting is where the relationship and partnership begins. Sharing Together Every Playful Step (STEPS): we invite parents and carers to STEPS sessions within the nursery for one hour. These can be over a period of five weeks or one week, depending on what time of year your child starts our nursery. The STEPS sessions are a time for you and your child to learn and explore in their new environment. It is also a time for parents and carers to met other adults and children who will start nursery at the same time. It is a great opportunity for both children and adults to make new friends. The family worker also provides information to the families and activities they can do to help support their learning at home. after the STEPS sessions, we discuss with you when your child will start and how long they will attend each session. 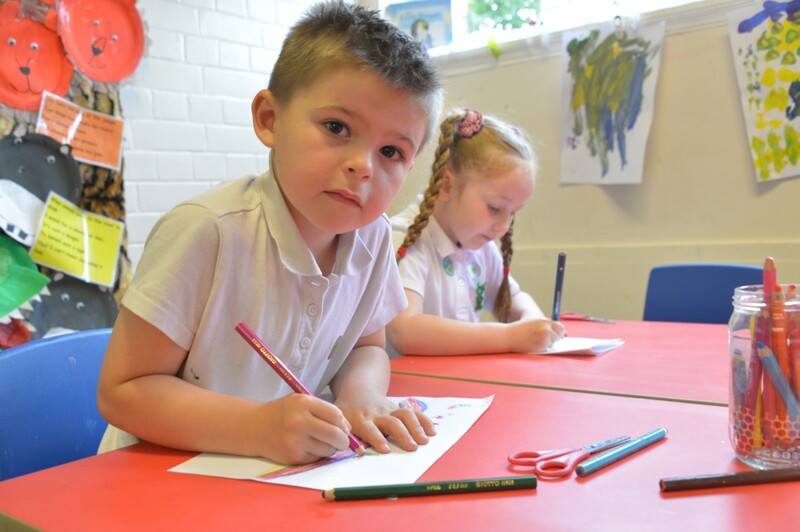 We listen carefully to your views and the needs of your child – we are very flexible with our start dates and times. All children are different: some may settle in very quickly, whilst others need a little more time. We also acknowledge this separation can be as upsetting for parents as it is for children and so we offer comfort and patience to all during this transition. Time spent on settling in, is time well invested for the children’s security and confidence. On arrival, we ask that children to collect their name card and check in on our feelings board. This gives us an opportunity to talk to you and your child about how they are feeling. Children then sit down for TLC time (toast, love and care) before exploring their environment. It is really important that children are collected on time, as searching the sea of faces for your mum or dad, nana or grandad, and finding no-one there can be really upsetting when you’re only three- or four-years-old. We ask that parents inform us of the people who are most likely to collect their child. In the interests of safeguarding all our children, we ask parents to provide a password at the beginning of the year for all adults to use when collecting children at the end of the session. Anyone the staff don’t recognise, will not be allowed to leave the building with a child, unless they provide the correct password. INSPIRE sessions: we hold INSPIRE sessions at least once a term. The Inspire mornings or afternoons are informal in a relaxed atmosphere, where your child can show you what they have been learning about in school. The sessions are led by the family workers and children. They are always fun and you are always provided with something you have made with your child to take home. 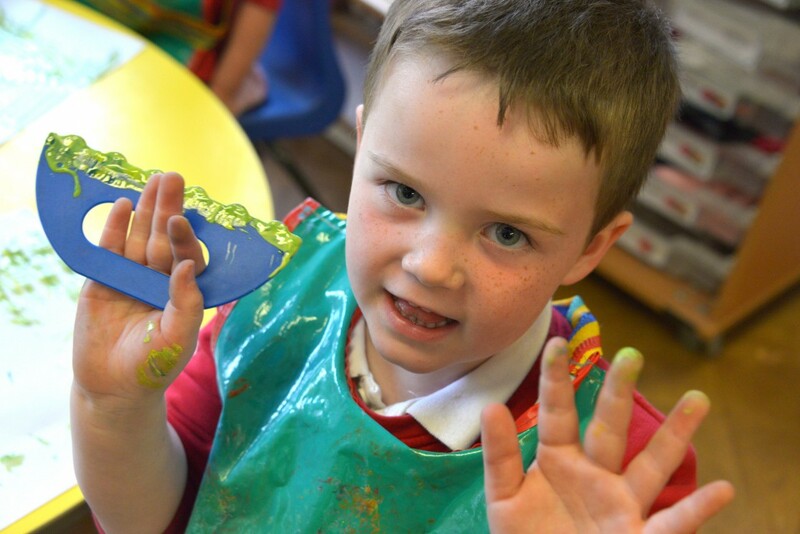 Inspire has become part of our early years and school culture for the last three years and is a strong base for further parental and family involvement activities which develop the partnership between child, parents and family workers. FRED afternoon: fathers reading with their children. All dads/grandparents/uncles are provided with a bacon sandwich and cup of tea before the children arrived in their pyjamas. The children love sharing stories and playing games with them. As a treat, the children are provided with a hot chocolate and biscuit. One parent said: ‘Staff are always there if you need some help – for children and for parents.